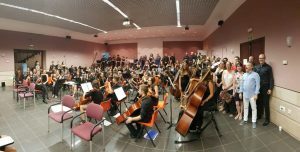 Qatar Concert Choir has returned home after breaking exciting new ground on its first overseas trip, singing Beethoven’s Choral Symphony in Malaga, Spain, with the Youth Orchestra of Malaga conducted by one of the finest conductors in the world, the famous French-American George Pehlivanian. 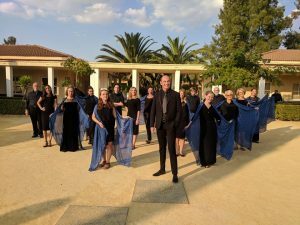 The choir spent a week in southern Spain in late August, taking part in the Curso Internacional Eduardo Ocon, singing in a standalone concert conducted by their Artistic Director Giovanni Pasini, and then topping off the exciting week with two successful performances of Beethoven’s Symphony No. 9 in D minor. 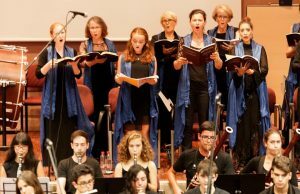 The powerful work is famous for its final, fourth movement in which the choir sings Schiller’s poem ‘Ode to Joy‘ with a full orchestra. 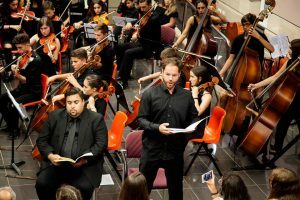 “When I took over the choir five years ago, I never imagined travelling to Europe to sing one of the most famous choral works in the classical repertoire,” said Director Pasini.”I’m very proud of all the singers and of the musical journey we’ve been on and grateful to Maestro Pehlivanian for giving us this wonderful opportunity,” he said.